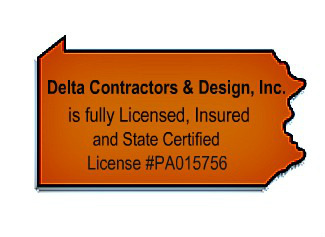 Delta Contractors & Design, Inc. - Pa. Construction Services for Your Home or Business based in Western Pa. Serving Clarion, Jefferson, Venango and Armstrong County. Call (814) 764-5506 for Your Free Estimate! Looking for Construction Services in Western Pa.? 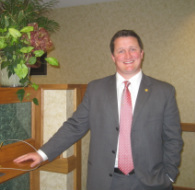 Proudly serving Clarion, Jefferson, Venango and Armstrong Counties. Construction – New Homes – Panelized Housing – Commercial Buildings – Churches Remodeling – Restorations – Additions – Garages – Roofing – Decks – Porches – Windows – Doors – Plumbing – Heating/Ventilation – Air Conditioning – Superior Walls and Block Foundations – Stamped Concrete –Septic – Sewer – Electrical – Flooring – Siding – Soffit – Fascia – and much more. Need an affordable Pa. contractor who knows how to get the job done right? When you call Delta, you’ll talk with a knowledgeable service professional who can answer your questions and get you on the road to starting your project. Communication is as important to us as it is to you, and we’ll be in contact with you throughout the duration of your project. Reliability matters and trust is essential when it comes to servicing your home or business. Because we’re a large construction company, we can handle multiple jobs at once, giving us the edge we need to help get your project done on schedule. And at Delta Contractors and Design, Inc., we know that cost is often the bottom line. Because of this, we keep our prices competitive and affordable. 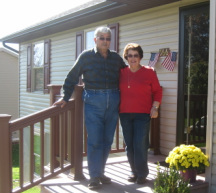 For nearly three decades, Delta Contractors and Design, Inc. has been serving businesses and residences in Western Pa. We’ve proudly established a strong customer base that chooses to use us again and again. At Delta, we take the guesswork out of finding out how much your job is going to cost by providing you with a free estimate that helps you match it with your budget. No matter the size of your job, Delta Contractors and Design, Inc. can help. Maybe your company is upsizing and needs a new building, or perhaps you’ve decided to finally put in that new deck. Either way, you need a construction company that knows how to offer you its best no matter the size of your job. Here at Delta, we treat each project with equal attention, and we’ll gladly serve you however we can. Need More than just Construction Work? No Problem. We can take your job from start to finish. In home or commercial construction, there’s often more to a project than creating a sound structure. Because of this, Delta Contractors and Design, Inc. has diversified, offering you a wider range of services through its subsidiary companies: Roof Tech, Ace Concrete and Excavation Services, and Hamilton Building Services. In addition, Delta’s certified staff is equipped to handle a wide variety of your other needs including plumbing, electric, heating and air conditioning. Our extended range of expertise is unmatched by our local competitors. Delta is glad to cover all of the bases involved in getting your job done well. Need Reliable Construction Work Done on Your Home or Business? “My dad always said that making the needs of the people in your community a priority is the key to a successful business. 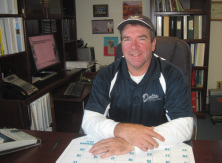 Delta Contracting & Design, Inc.